A panel set-up by the Centre to consider suggestions, including making corridors for safe passage of elephants, have identified 27 of such critical area in 22 states. The Supreme Court Thursday ordered closure of 27 resorts allegedly encroaching upon elephant corridors in the Nilgiris biosphere in Tamil Nadu. The court also gave 48 hours to 12 other resorts located there to prove approvals, failing which they too will be sealed. 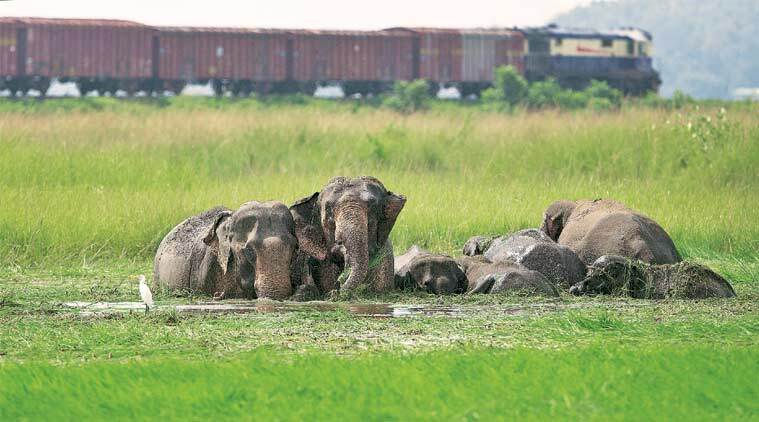 A bench of Justices Madan B Lokur, S Abdul Nazeer and Deepak Gupta expressed concern about the encroachment of elephant corridors, observing that elephants are national heritage. The bench, which perused a ‘Plan of Action Report’ filed by the Nilgiris District Collector, said for the time being, it was concerning itself with the “resort complexes with restaurant (commercial buildings)”. The Collector’s report listed 39 such resort complex with restaurant. While lawyers appeared for 12 of the resorts, the remaining 27 went unrepresented. Taking note, the court said “it is deemed that they (27 resorts) accept the report” of the Collector. The bench pointed out that the Collector’s report is “to the effect that they are running commercial enterprises even though they do not have approval for the same”. The court directed the Collector to seal or close them down. It also asked the State to do the needful within 48 hours. To the other 12 resorts, it granted them “48 hours time to produce all documents showing approval and valid title and possession for running resorts before the Collector… in case, the Collector finds that the documentation is incomplete or approval not granted, she should close down and seal the premises immediately thereafter”. The report also mentioned more names, but the court gave them two months to produce necessary documents before the Collector for verification. The court is seized of petitions on the treatment meted out to elephants in various parts of the country. During the hearing, the court remarked that it was “extremely unfortunate” that many of the states had not responded to the Centre’s communications to check incidents of human-animal conflict and reduce animal fatalities. A panel set-up by the Centre to consider suggestions, including making corridors for safe passage of elephants, have identified 27 of such critical area in 22 states. Some states have not yet responded to this. The court will hear the matter again on October 24.